Nearest parking at NCP car park on London Wall street nearby. £3.00 per hour and motorcycles are free. 1 minute walk from Liverpool Street Station. Conveniently located for the main financial institutions of the city, Andaz Liverpool Street is easily accessible from Stansted and London City Airports, and is a short taxi ride from central London. We welcome groups of up to 35 guests in Eastway, please contact to find out our special Terms & Conditions. 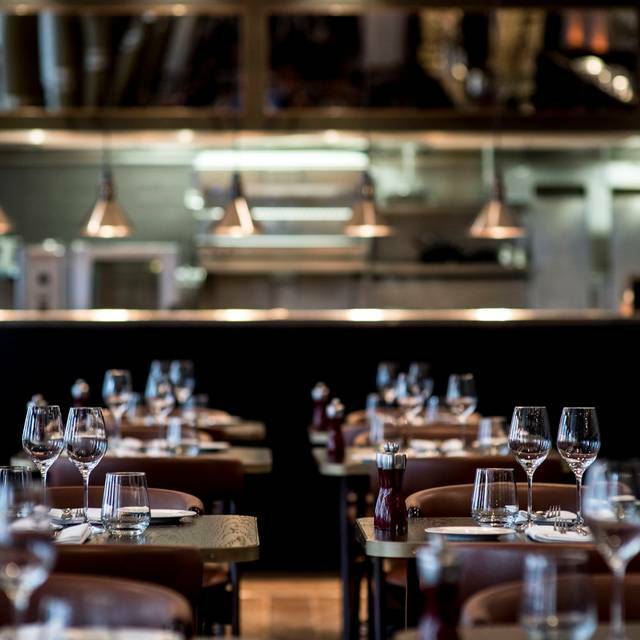 Boasting an AA Rosette, Eastway is an all-day dining East End brasserie serving grill classics and speciality dishes. 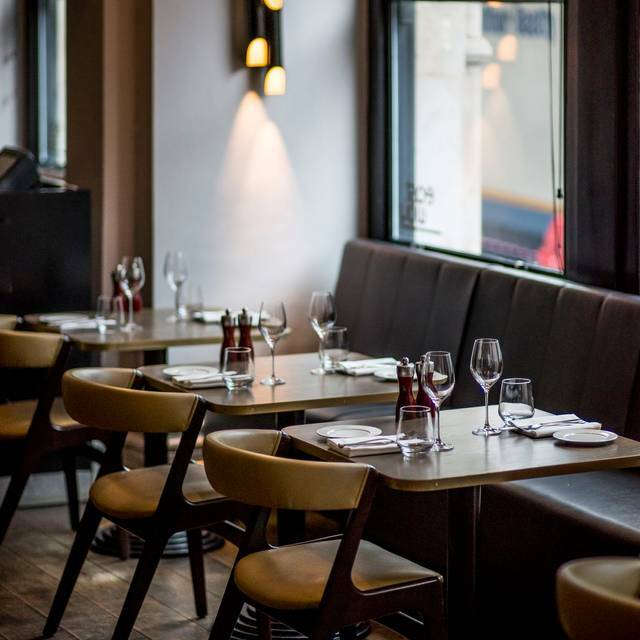 Enjoy a scrumptious and decadent breakfast, or our tapas and charcuterie menu that accompanies hearty brasserie dishes, while reinterpreted classic brasserie favourites include the pulled pork bap with homemade slaw and fries, and slow-cooked beef blade in red wine. 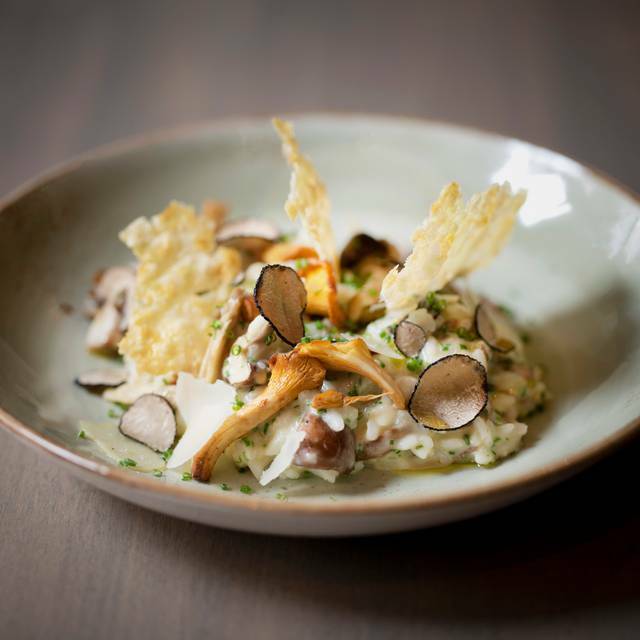 On the weekends, with a variety of locally sourced and organic ingredients, Eastway offers the ultimate sharing experience with an innovative menu that changes weekly. Spoil yourself with the set menu, which includes sharing style starters, a delicious large brunch plate for a main course and unlimited desserts. 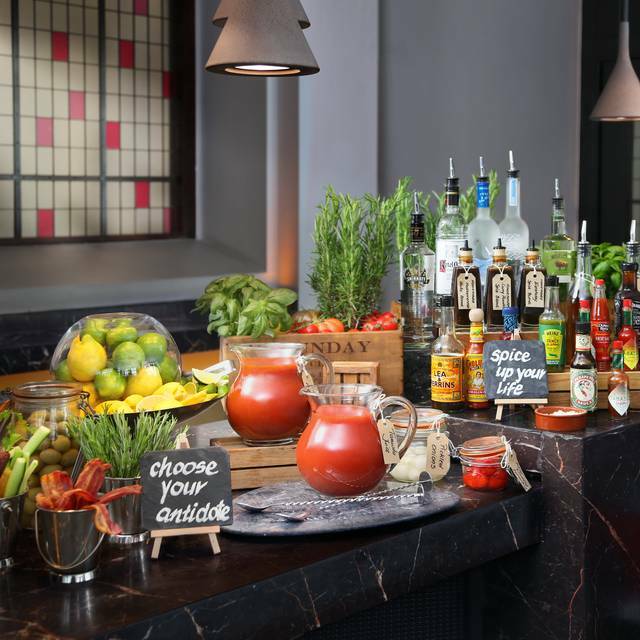 A Bloody Mary DIY bar featuring home-infused vodkas and unlimited complimentary Danish pastries are here to tantalise the healthy, the hipster & the hungover. Exotic signature cocktails sit alongside an elegant, seasonally changing wine list. I have been to Eastway Brasserie before with various friends. Well located near Liverpool Street station. It has a great menu, good 2-for-1 drinks during "happy hour", mocktails and a good wine list. The service was good. For coeliacs, this resaturant will provide gluten-free bread on request. My friend and I both thoroughly enjoyed our meals, the service and the ambience. Initially, the noise level seems quite high but actually you forget that pretty quickly and you can easily talk to fellow diners without shouting. The meal and venue were all good. One important thing to mention is that apparently Eastway Brasserie do not take bookings from Open Table anymore. I made a booking for my boss on Friday 18th and when he arrived they had no booking under his name and he was told that they only take bookings from Book a Table. Luckily there was a table for him but it could've gone wrong! Great value brunch with unlimited drinks - food was of high quality and delicious. Mix an match bottomless drinks at £18 excellent. I’ve visited the Eastway Brasserie twice now but today was the first time for Brunch. I have to say, the value for money is excellent. In my opinion, there could be less starters made available and it would be better to allow people the choice of just having a main course as the selection of pastries and desserts on offer would more than make up for the difference. However, for those who enjoy a hearty (and bottomless if you so desire) brunch, then I would highly recommend this. A veritable feast with six small brunch dishes to start followed by a choice of a more substantial 'main' plate. Meanwhile, there is a small counter with help yourself pastries and puddings. But since when did brunch become such a full-on meal?! The noise level rather interfered with the purpose of our lunch: conversation among old friends. Service was good. There wasn’t much on the menu that appealed to me but the prawn and crayfish linguine was fine apart from the squelchy prawns. Reasonable wine. Very handy for Liverpool Street station. Good for business lunch. I didn’t get what I ordered to eat. Given the service, I couldn’t be bothered to send it back. Then, I was told off for asking one server for a glass of wine, when the other server hadn’t brought the wine ages after ordering it. Service was unprofessional. Went for dinner with a friend, great relaxed atmosphere that wasn't too quiet that we felt we had to whisper but not too noisy either that we had to talk loudly to hear each other. Food was delicious and service was good. Went here many times prior and had a lovely experience. Since they have completely revamped the menu, for the worse, removing many items that we’ve enjoyed. The waitresses were quite rude to us upon arrival and didn’t say a nice word. Will not be returning, unless the menu changes and the staff is a bit more respectful about customers. Good choice of food both for carnivores and veggie types. Service and staff were very friendly and it was a relaxed atmosphere. Perfect location to meet people as it is right next to Liverpool Street. Took my mother here for Mother’s Day. The restaurant was lovely. The staff was great and very attentive to us and even to my toddler nephew. They are obviously used to having children in their establishment. The food was lovely. There was little to no time to wait between courses which was great! The portion sizes were just right. Highly recommend this restaurant and plan on visiting again. Really bad! Avoid this place like the plague! They don’t serve the a la Carte until after 3pm but also don’t tell you that anywhere. It was the reason we went... really disappointing and the staff were really unhelpful. They were friendliest as we left! Great and efficient service complimented by superb breakfast. We ordered from the Xmas menue and the food was delicious and good value, however one of my colleagues was quite ill from the Salmon starter. I tried to call the next morning to let Eastway know however no one answered my call. We had an enjoyable lunch at the Eastway. The waitresses were very attentive and friendly. The food was generally very good, especially the venison ragout. The atmosphere was lively, but with a reasonable level of noise, so we were able to discuss business comfortably. Unfortunately they didn’t have my open table reservation. Really good breakfast. Great service, quick, reliable and friendly. Portion sizes really good. Value good too: use back bacon and good quality sausages, unlike a lot of other restaurants. One of the best places around. Dropped into Eastway Brasserie for breakfast one Saturday morning. Although there wasn’t any need to book (there were only about 5 other people in the place) you never know. Breakfast was excellent, helped no end by the complimentary pastries and bread that was available on addition to your order. Great attentive service and swift meal preparation. EASTWAY DON'T TAKE BOOKINGS VIA OPEN TABLE!!! That said, the staff did their best to fit us in and did a great job. The full English breakfast was excellent. Poor show on the part of Open Table confirming for a venue that has stopped using them! B2B morning business meeting, which provided great service and superb breakfast. Atmosphere was warm throughout venue. very good meal with great service. Burger was huge! Will be returning again soon. The restaurant was very empty when we went, so the service was attentive and accommodating. Portions were big, good value for money, and they take tastecard. 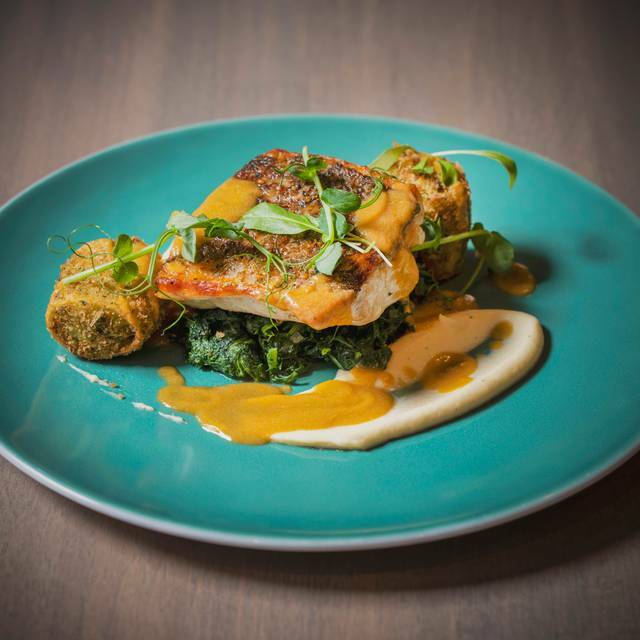 Was looking for an alternative eaterie near Liverpool Street - chose this one as both myself and my friend like fish and there were nice vegetarian options too. Was a lovely airy and light restaurant - perfect for a warm summer's evening. Had a leisurely delicious 2-course meal beginning with a cocktail. This and a bottle of wine between two cost £60 each including service. As always Eastway at Andaz delivered exactly what we needed in terms of a quick business breakfast . The food was great and the service excellent . It is one of my favourite places for brunch/ lunch in the City. Staff is very attentive; food is good; and, the location is very convenient. An easy place to dine - for a quick lunch or a leisurely dinner. Preparation and presentation are to a high standard. The environment is bistro-style and relaxed. Comfort food or light dining - all is good. 2nd time here and it was even better than the last time. Service was amazing (hard to find good service in London), the waiter was so friendly and kept an eye out for empty glasses (we got the unlimited mimosa). Food was good too. Love the pillars. Will be back and recommend this place. Excellent food, good menu and great choice. Nice ambience. Good service. A very nice meal consistently. Thank you. Good food, ideal location but mediocre service. Good for business even though slightly loud so difficult to hear. Absolutely recommended for brunch! Complimentary pastries, jams and bloody marries were the highlights!